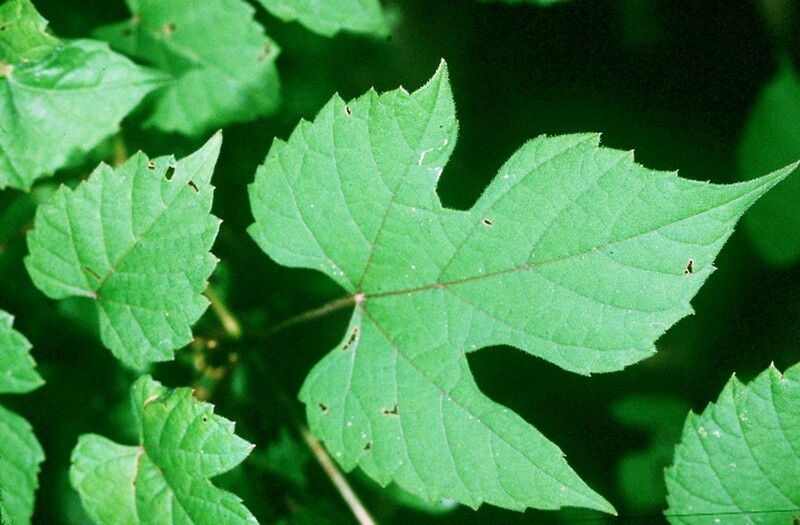 Vitis palmata is native liana of the southern United States. It has been introduced to New England. It is noteworthy for its red branchlets. leaf blades orbicular to suborbicular, often prominently lobed with deep sinuses, commonly with some patches of thin tomentum on the abaxial surface, especially in early season, and exocarp of fresh fruit separated from mesocarp only with difficulty (vs. V. palmata, with leaf blades ovate to orbicular, unlobed or with obscure to evident lobes, lacking tomentose hairs, though usually with straight hairs, and exocarp of fresh fruit readily separated from mesocarp). 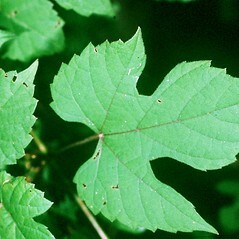 branchlets usually green, maturing gray to brown, sometimes with purple or red coloration restricted to one side of the branchlet, leaf blades acute to short-acuminate at the apex, and seeds 3–5 mm long (vs. V. palmata, with branchlets red to purple throughout, maturing red-brown to dark red-brown, leaf blades acuminate to long-acuminate at the apex, and seeds 4–7 mm long). catbird grape. Vitis rubra Michx. • CT. Railroads, yards.